The Excellence Industries EMM-2S countertop refrigerator has two shelves for storing and displaying drinks, snacks, and other popular items. Interior lighting shines on these products to ensure they are visible through the glass door. This door is reversible and fully insulated to retain cold air and keep ambient air out. Its handle is recessed, saving countertop space, and a lock on the door prevents unauthorized users from accessing stored items. 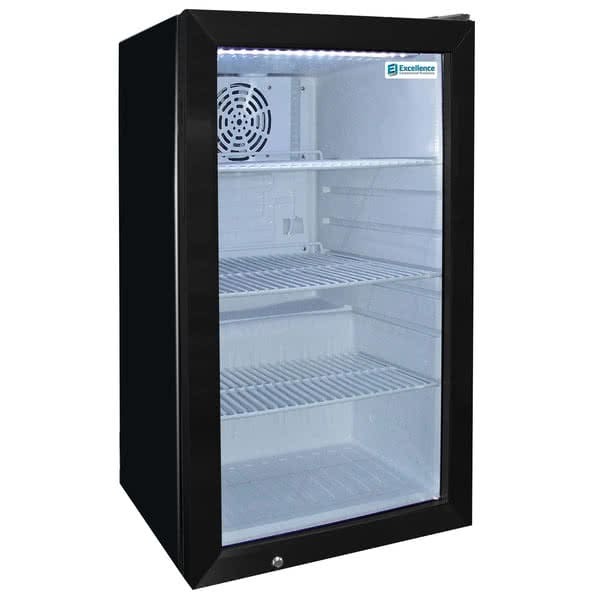 This Excellence Industries EMM-2S countertop refrigerator has an adjustable thermostat that operates from 32 to 40 degrees Fahrenheit.